The Celtics are on the brink of the NBA finals without two of their best players. 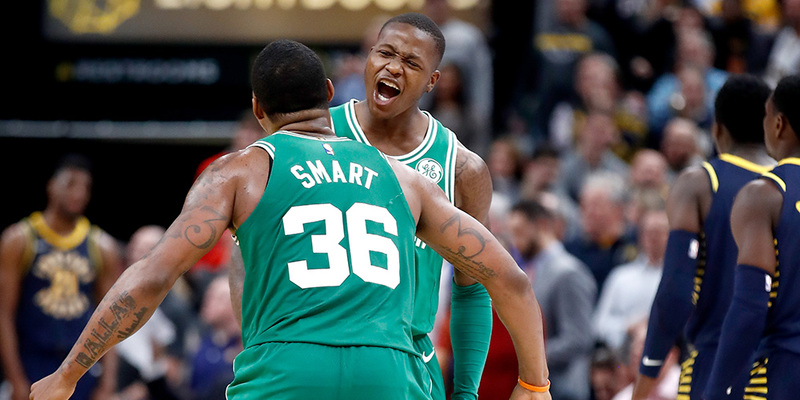 But as they try to build a sustainable core, tough choices linger, starting with the futures of Marcus Smart and Terry Rozier. Jordan is a sports journalist who has covered the NBA for nearly two decades. He is the former NBA editor for ESPN The Magazine and created the Giant Killers project for projecting NCAA tournament upsets at ESPN.com. Forgive Boston fans for their giddiness. Regardless of what happens in the remainder of the Eastern Conference finals, the Celtics’ season has been an unqualified success. They’ve made a deep playoff run without arguably their two best players and, in their absence, the Celtics have seen their young core blossom amidst the heightened pressure of playoff basketball. With Kyrie Irving and Gordon Hayward back in the mix next season, the future couldn’t be much brighter. But in the NBA, today’s abundance is tomorrow’s dilemma. After years of determinedly accumulating assets, the Celtics’ bills are finally coming due, leaving them with a series of critical decisions that will shape the future of the franchise.